Introducing this summer’s Festival Orchestra! It’s a Nordic Friday evening: beginning with Grieg’s Suite composed in a stately classical style, in homage to the eighteenth-century Norwegian playwright of the same name, and continuing in the second half, when Kentucky-born rising star Tessa Lark tackles the virtuoso cadenzas of Finnish composer Jean Sibelius’s only concerto. In between, more music by guest artist Melinda Wagner: her lively Scritch turns ten this year. 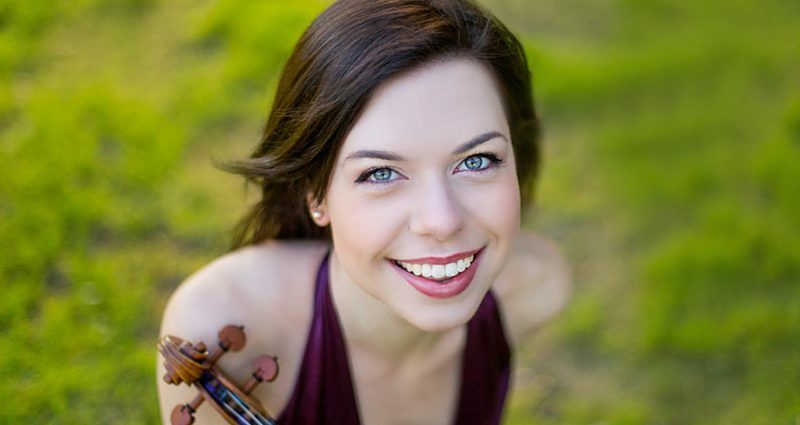 Violinist Tessa Lark, recipient of a 2018 Borletti- Buitoni Trust Fellowship and a 2016 Avery Fisher Career Grant, Silver Medalist in the International Violin Competition of Indianapolis, and winner of the 2012 Naumburg International Violin Competition, is one of the most captivating artistic voices of our time.